1. 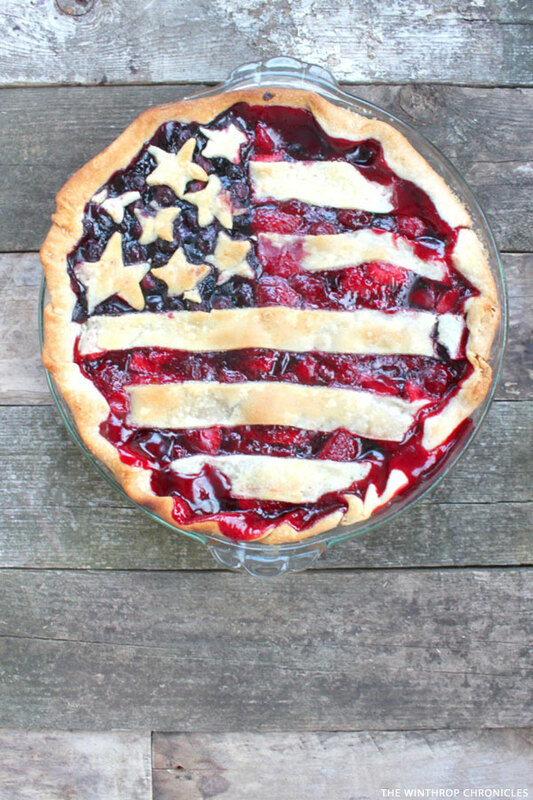 One simple step keeps the stars and the stripes perfectly aligned in this American Flag Pie by Sarah of The Winthrop Chronicles. Learn how to make it here. 2. Celebrate America’s birthday with a big bowl of cake and ice cream. 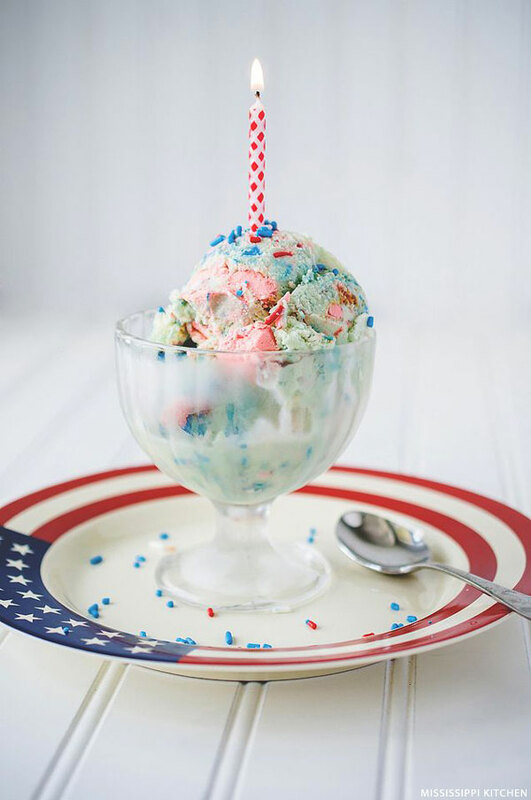 Chill out with this Patriotic Birthday Cake Ice Cream by Lorie Roach of Mississippi Kitchen. Learn how to make it here. 3. Is it pie? Is it cake? 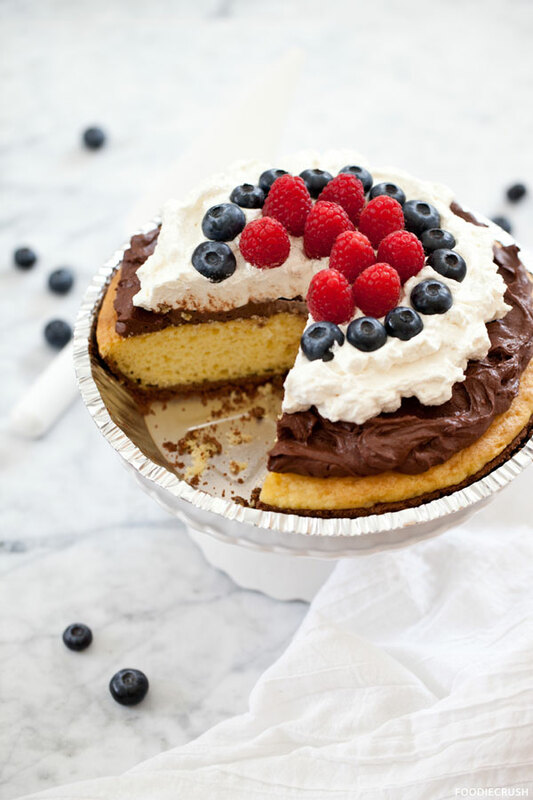 Bake up this Birthday Cake Pie by Heidi Larsen of FoodieCrush and enjoy the best of both worlds. Learn how to make it here. 4. 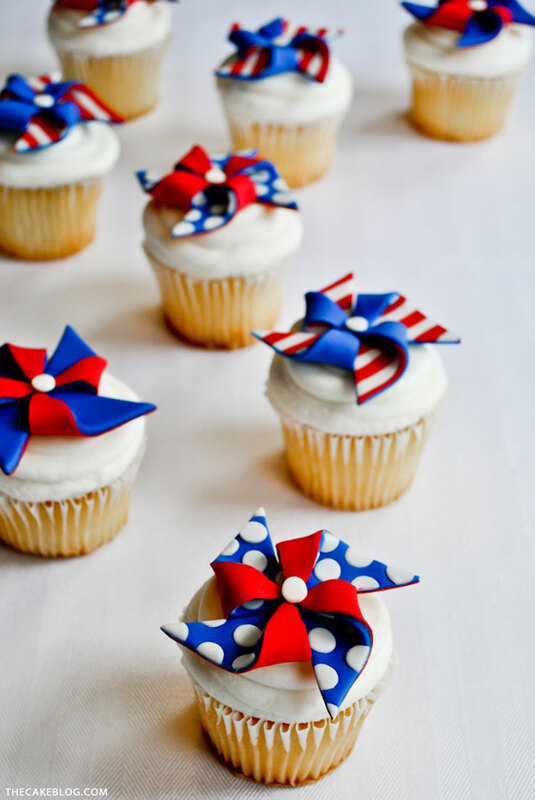 Give your cupcakes a patriotic spin with these Pinwheel Cupcake Toppers by Carrie Sellman for The Cake Blog. Learn how to make them here. 5. 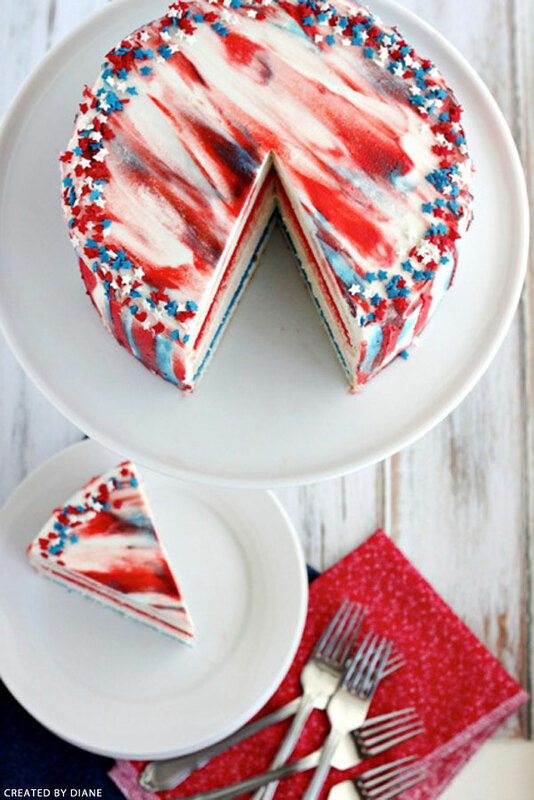 Cue the fireworks because this Patriotic Cake by Diane Schmidt of Created by Diane is a real fire cracker! Learn how to make it here. 6. 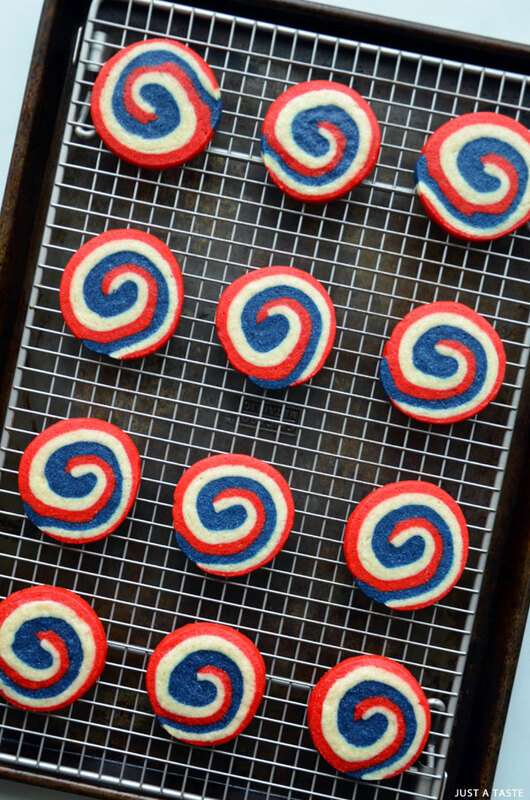 Red, white and blue cookie dough is rolled and sliced into these festive Pinwheel Cookies by Kelly Senyei of Just A Taste. Learn how to make them here. 7. 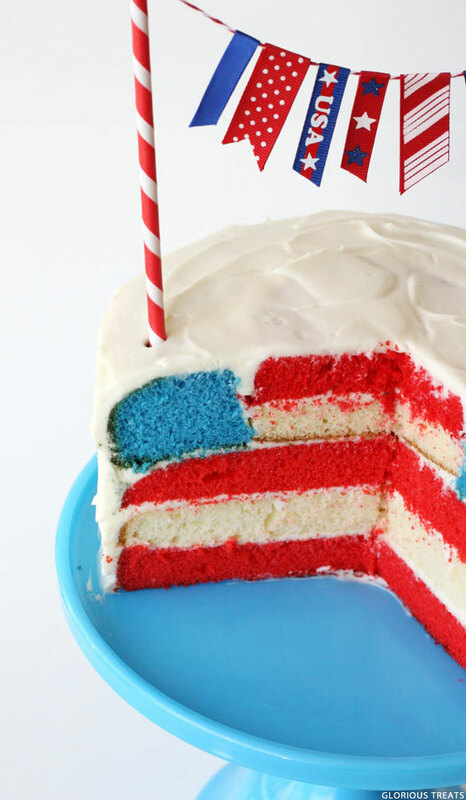 Let old glory wave both inside and out with this surprise-inside Flag Cake by Glory Albin of Glorious Treats. Learn how to make it here. 8. 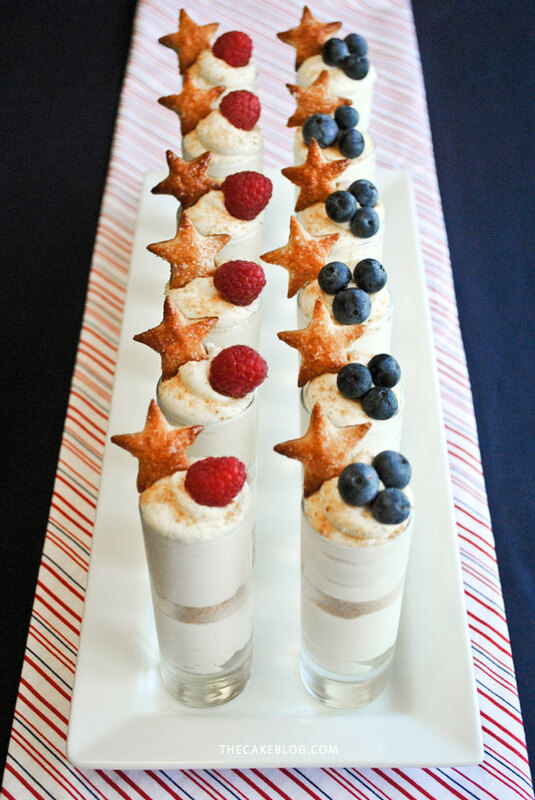 Keep it quick and simple with these Stars & Stripes Cheesecake Shots by Carrie Sellman for The Cake Blog. Learn how to make them here. So what’s in store for your Fourth of July weekend? Our big weekend plans include a mega road trip to visit my sisters and their families. There’s sure to be something delicious on the grill and some fireworks in the sky. I’ve debated taking a cake along for the ride but 10 hours in the car is sure to reek havoc on anything buttercream related. Perhaps some of those adorable pinwheel cookies will be our travel companion…. Wishing you a safe and happy Independence Day! I’d love to hear what you’re up to this weekend! Everything look so festive, Happy 4th. Thanks for sharing my cake! Thanks Diane! Your cake is amazing! Happy 4th of July to you too! Thanks Shayne! 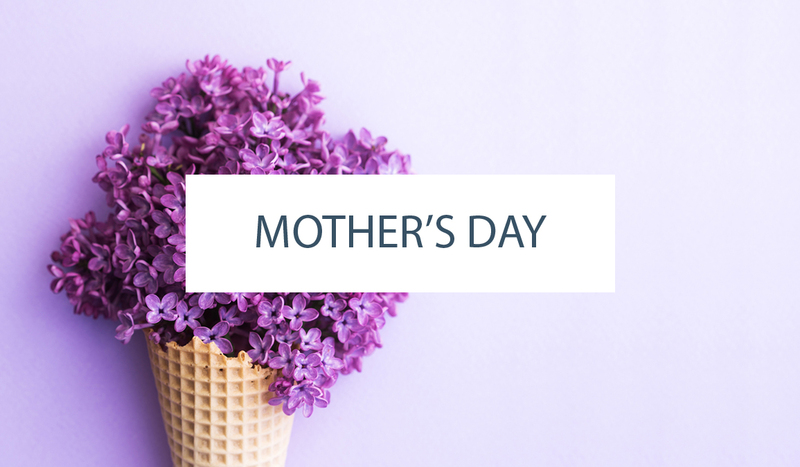 Hope you love the cheesecake shots – they are too yummy!